You know your dog well. He follows you wherever you go. You spend hours together on long walks, playing in the yard, or daydreaming together of great experiences and adventures to be had. Since you spend a lot of time together, you notice things. You sense when he’s not feeling his best, and when he’s distracted. It might just be some seasonal blues in the dead of winter, but it may also be that he’s got a cold, feeling his age a little more, or he might have developed some allergies. Just like people, dogs can get some pretty nasty allergies. Sometimes these allergies may seem like a temporary condition, like a common cold, but if there are a number of symptoms that stick around for more than a week or two, your dog’s immune system has probably determined that it doesn’t like certain things like pollens, dust, or ingredients in his food. If you believe your dog has developed an allergy, you should check in with your vet for treatments. But there are some things that can be done to help your dog from home, without prescriptions. You can try some of these following remedies, in conjunction with seeking your veterinarian’s approval and treatment of Spot. 1. Add in Probiotics or Digestive Enzymes. Some dogs have food sensitivities because their immune systems have an imbalance in the microbes in their gut. Adding a probiotic or digestive enzyme may significantly improve your dog’s stomach and digestive health issues, and may reduce allergy symptoms. 2. Clean Your Dog After Walks. After you go out for walks, you can take some specially designed wipes, gentle cleansers, or just plain soap and water in a damp towel to wipe down your dog. This may eliminate some of the extra allergens that they’re bringing inside with them, amplifying their environmental allergies. 3. Remove Allergens from your Home. Dogs can have allergies to many of the same things you do. Cleaning your home and ridding it of the following things may help to improve your best friend’s health. Chances are, if your pooch is suffering from some allergies, changing up their diet will help their immune system combat the issue. We’ve done some research on the best options out there, and here’s the list we’ve compiled for you to help cut down your own research time. 4 Health Untamed Dog Food combines the goodness of whole ingredients like buffalo meat and flax seed for solid protein and omega-3 nutrients. The hypoallergenic dog food recipes may include lentils, chickpeas, peas, pea flour, concentrated beef, sunflower oil, and other nutrient rich ingredients. 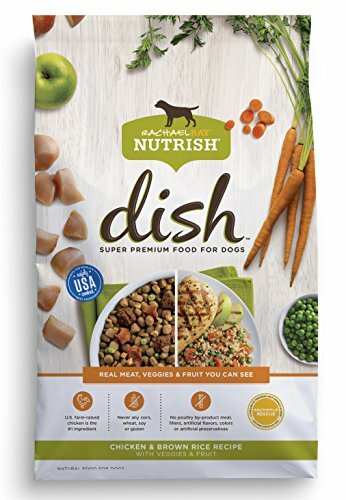 They keep out the wheat, corn, and soy, and pack every bite with protein, a dog’s dietary best friend. This limited ingredient dry dog food comes in four options. Earthborn Holistic Venture Limited Ingredient Diets dog food received 4.5 out of 5 stars. This series of dry dog foods is healthy, holistic, and each variety is packed with protein and vitamins and minerals. The makers of Earthborn Holistic Venture avoid wheat, soy, corn, and artificial preservatives, and flavorings. This means the high rating is well-deserved on the nutrient front alone. 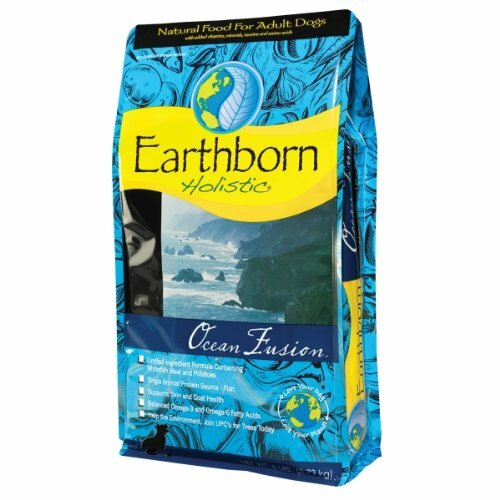 This dry hypoallergenic dog food from Earthborn comes in an assortment of flavors to try. If he’s a picky eater, this brand is likely to provide something in the limited diet realm that Spot will love. This recipe from Rachel Ray includes whole ingredients like turkey, venison and rice. There are no meat by-products, and no wheat. This healthier food adds L-Carnitine for immune system support, as well as carrots and cranberries for their antioxidant power, vitamins, and minerals, and dietary fiber. The most important things to remember when helping your dog with allergies is to check with your vet and see if your pooch needs a prescription for food or medications. You should also eliminate allergens from your home, and help keep everything clean, including his diet. Avoid wheat and soy, and make sure his food is high in protein and minerals that will help him fight off allergies.